Are you ready to explore BrainPOP? 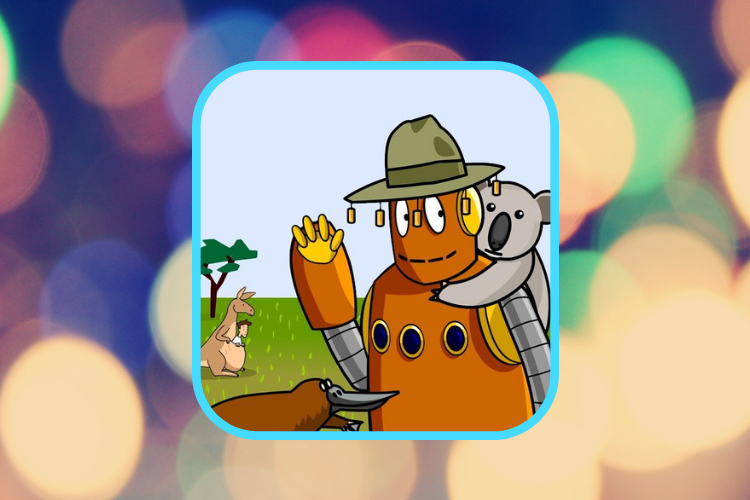 BrainPOP's on top down under! Big news for our Aussie schools! We’re stoked to let you know BrainPOP is now fully mapped to the Australian national curriculum. We’ve been working hard to add Australia to sit alongside our current English and Scottish curriculum mapping. To try it out visit our curriculum mapping tool, select ‘Australia’, and drill down from there by year group to find topics relevant to an objective. When you’ve found the objective you’re looking for it will list one or more topics that best fit (bear in mind we don’t claim to have a topic for every objective). If you’re looking for a specific topic you might be better off using our predictive keyword search or browse through the subjects. If you’re an Australian school that doesn’t use BrainPOP, but wants to give our resources a try, take out a no obligation free trial. For many years teachers used to ask us "How do I know when a student has watched a movie on BrainPOP?" Not any more! 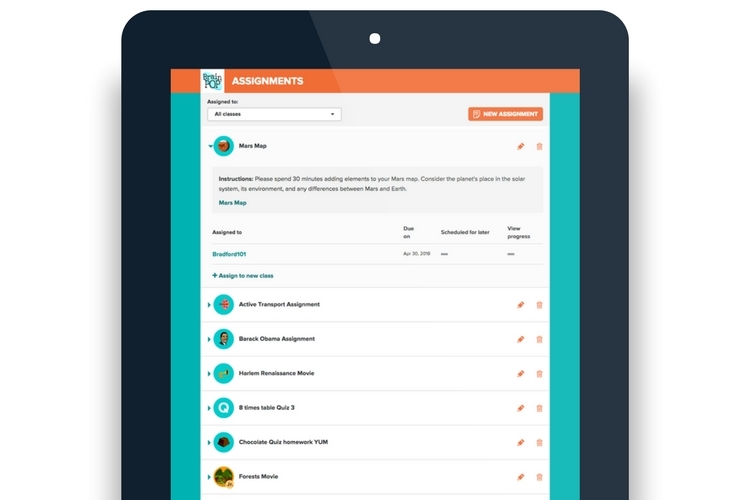 BrainPOP's assignment feature is blended throughout BrainPOP, allowing teachers to assign almost anything in BrainPOP and BrainPOP Jr.
Students get notified of the assignment when they login, their interaction with the resource gets captured, and they can keep a personal eye on their assignments feed. Want to direct a class to watch a specific movie in preparation for tomorrow's lesson and know who has and hasn't seen it? BOOM! Assign the movie to the whole class. Want to assess a particular set of students on their understanding of a topic? ZAP! Assign the Challenge feature to specific students from your class. Want to target a student with some remediation work before a test? KAPOW! Create a personalised quiz using the Quiz Mixer and assign it just to them. Want to create a mini project for your class to demonstrate their understanding? BAM! Build an multi part assignment, adding a movie, then the quiz, then the Make a Map tool. How to assign something in BrainPOP and/or BrainPOP Jr. Simply log in to your individual account and navigate to the feature you’d like students to work on. Click the ASSIGN button, then choose a class and optional due date. To see the list of everything you’ve assigned, or to edit your assignments, click on the ASSIGNMENTS button at the top of your screen. Students log in to their own accounts, where they will see Moby pop up and advise them they have a new assignment. Try it out today. It could revolutionise the way you use BrainPOP. As an educator you're almost certainly familiar with Bloom's Taxonomy. When we design our tools and features we align them with with 3 objectives, based on Bloom's taxonomy - Discover, Play, Create. Whether you are experienced with BrainPOP or are just getting to know our resources you'll see there's a multitude of options on each topic. Here's a visual breakdown of the various pasts of a topic page and how they fit into the discover, play, create model. Students start to learn and understand more about a curriculum topic, recalling important facts from the movies and quizzes (don't forget you can create your own differentiated quizzes using the Quiz Mixer), and matching important concepts to their proper descriptions using the Activity pages. BrainPOP comes with a range of educational games and simulations that give students an opportunity to apply their knowledge and demonstrate their understanding. In this phase students can use tools like Make-a-Map, Make-a-Movie, and Creative Coding to make and display connections between previous knowledge and new information. We've got a new 3D printer in school! Now what? © 1999–2018 BrainPOP and related companies. All rights reserved.